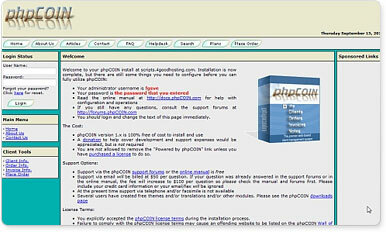 phpCOIN is a free WebWare package originally designed for web-hosting resellers. phpCOIN helps resellers to handle clients, orders, invoices, notes and helpdesk, but no longer limited to hosting resellers. phpCOIN is License under End-User License Agreement.